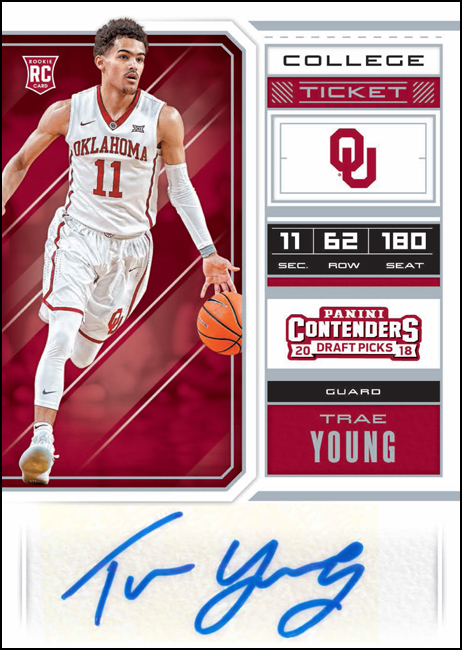 Panini America and NBA Lottery Pick Trae Young have reached an exclusive agreement for trading card memorabilia. Young led the nation in scoring (27+ ppg) and assists (nearly 9 apg) as a freshman for Oklahoma last season. Young joins other athletes with similar contracts with Panini such as Leonard Fournette, Kobe Bryant, Kevin Durant, Kyrie Irving, Saquon Barkley and Andrew Luck.